EVERY SPRING, College and High School baseball teams from all over the U.S.A, head south to the sunny, beautiful Space Coast and its beaches for one of the nation’s oldest and largest Spring Training programs. Space Coast BASEBALL has everything your team needs to conduct an affordable spring training trip; Outstanding baseball venues, your choice of mainland, island or beach accommodation packages, practice and game/scrimmage schedules arranged based on your request and quality umpires. All scheduling of games and practices is performed by a former highly experienced college coach who understands the importance of making the schedule as complete as possible for each team so that teams can get the practice and game schedule that they need to meet their goals. 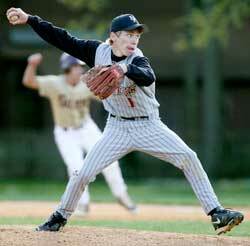 Team’s previous won loss record and other factors will be used to match opponents. The schedule of each team will be given undivided attention by our Baseball Director who will communicate directly with each team on an ongoing basis to maximize the opportunity for each team. 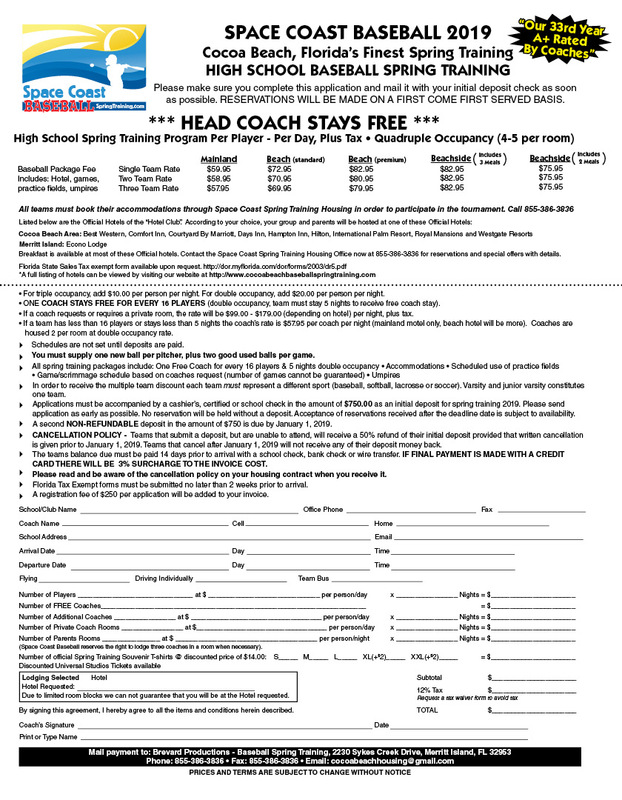 If you are looking for an intensive week of baseball in a great spring location, Cocoa Beach Baseball Spring Training on Florida’s beautiful Space Coast is the perfect choice for your next spring trip! At the end of a hard day of training and play teams can relax and unwind by visiting the Space Coast’s finest site. 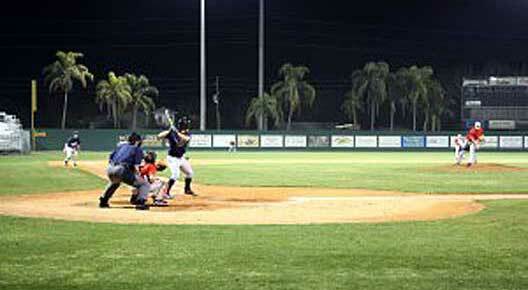 The baseball fields are located on Florida’s Space Coast just a short drive from beautiful Cocoa Beach. The Space Coast is a vacationer’s paradise. There is sun bathing, surfing or sail boarding on miles of white sandy beaches or air boats and jet skis on the Indian River. 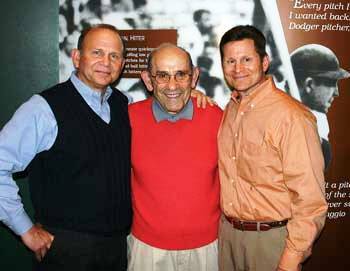 Cocoa Beach Spring Training, Director of Baseball, Tom Palermo (at right) with his brother, Dr. Jim Palermo (left) and their Uncle Yogi Berra. During off time our teams visit world famous attractions such as the Cocoa Beach Pier, Kennedy Space Center and Ron Jon Surf Shop. The perfect way to kick-off the spring training season in Florida. This three day, holiday weekend, youth baseball tournament is open to teams of all ages and abilities. The weather in the Cocoa Beach area is perfect for this competitive celebration of youth baseball. Hosted at Mitchell Ellington Park with beautifully manicured fields, this tournament will give the participating teams an opportunity to match up against teams from all over the USA and from our northern friends from Canada. Opportunity to use batting cages prior to the games. All participating teams must stay in one of the Official Spring Training Host Hotels to be eligible to play in the tournament. Please CLICK HERE for a list of the participating hotels or call 1-855-386-3836 ext 3. Call NOW to reserve your team’s place in this tournament. Call 321-323-4460 or 1-855-386-3836 today.